Worried about your senior’s memory? Do you wonder if your parent or spouse’s forgetfulness or odd behavior is a normal part of aging or if they’re signs of Alzheimer’s or dementia? Don’t panic yet. There are significant differences between the normal forgetfulness that comes with age and the warning signs of cognitive problems. It turns out that everyone loses memory-making and cognitive abilities as they age. It’s normal. The decline starts by age 40 (yikes!) and picks up speed after that. Hmmm, that probably explains why you can’t remember where you put your keys. So how do you know if the things you’re noticing in your senior are normal or if you need to have them evaluated by a doctor? Here are 5 real-life situations and the key differences between normal aging behavior and possible signs of Alzheimer’s or dementia. Signs of Alzheimer’s: Trouble with familiar or daily tasks like getting lost driving to the local store, forgetting how to make their signature chicken dish, or not remembering the rules of a favorite game. Normal aging: Making mistakes once in a while when balancing a checkbook or cooking a meal (Oops, forgot the paprika!). 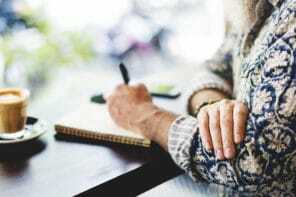 Signs of Alzheimer’s: Difficulty planning or problem solving, like trouble following a familiar recipe or not being able to keep track of monthly bills. Normal aging: Being temporarily confused about the day of the week, then figuring it out later. Signs of Alzheimer’s: Having trouble tracking dates, seasons, and the passage of time. Sometimes forgetting where they are or how they got there. Normal aging: Once in a while has poor judgment and bad decisions like drinking too much at a big party or spending too much money on something frivolous. Signs of Alzheimer’s: Frequently has bad judgment or decision-making like giving large amounts of money to telemarketers, buying tons of stuff from online shopping channels, paying less attention than normal to personal hygiene — wearing the same clothes, not bathing, etc. Normal aging: Getting irritated when a habit or routine is disrupted. Signs of Alzheimer’s: Noticeable changes in mood or personality like getting confused, suspicious, depressed, fearful, or anxious or being easily upset at home, at work, with friends, or in places where they’re out of their comfort zone. Quirky behavior and occasional “senior moments” probably aren’t things to worry about. Everyone loses cognitive function as they age – and nobody is getting any younger! If you do notice significant or serious behavior changes in your older adult, schedule a checkup with their doctor right away. If it is Alzheimer’s or dementia, early detection and treatment could help your older adult stay independent longer and could help manage symptoms. Linking Disclaimer: The Alzheimer’s Association is not responsible for information or advice provided by others, including information on websites that link to Association sites and on third party sites to which the Association links. Please direct any questions to weblink@alz.org. A fabulous website. Everything was helpful….some info was not available on site but I am sure maybe later on? Thank you! So glad our articles are helpful. If you have specific questions, please let us know and we’ll do our best to answer them. One of the worst mistakes you’ll commit while dealing with your aging parent’s negative actions is to take it personally. When your father starts acting so rudely, it’s most likely because of something that is not even your fault. Often, you just happen to be there so you become the recipient of his frustrations. It is also wrong to assume that the problem is you. Don’t blame yourself if your elderly loved one displays upsetting actions. Instead, do the best you can to help him overcome this obstacle. Not taking negative behavior personally is a very helpful technique. But it’s natural for caregivers to instinctively take it to heart when someone they’re caring for says something negative. It’s certainly not the caregiver’s fault for taking something personally, but hopefully Sue Anne’s suggestion to remember that you’re not the problem and you’re not to blame for the behavior will help take some of the sting out of it.